Roland Jacquard, In the Name of Osama Bin Laden, (Diane Pub Co: 2002), 59; Chris Suellentrop, “Abdullah Azzam: the godfather of jihad,” Slate, April 16, 2002, http://www.slate.com/articles/news_and_politics/assessment/2002/04/abdullah_azzam.html. Bruce Riedel, “The 9/11 Attacks’ Spiritual Father,” Daily Beast, September 11, 2011, http://www.thedailybeast.com/articles/2011/09/11/abdullah-azzam-spiritual-father-of-9-11-attacks-ideas-live-on.html. Sheik Abdullah Azzam, “Defense of the Muslim Lands,” Religioscope, 2002, 3, http://johnclamoreaux.org/smu/islam-west/s/azzam-def.pdf. Asaf Maliach, “Abdullah Azzam, Al-Qaeda, and Hamas,” Institute for National Security Studies, October 2010, Volume 2, No. 2, http://www.inss.org.il/uploadimages/Import/(FILE)1298359986.pdf. During the 1980s, Azzam traveled internationally—including to 50 American cities and throughout the Arab world—to preach and recruit Muslims to the jihad in Afghanistan. He reportedly sent aides to 26 U.S. states to preach the message of global jihad. In his lifetime, Azzam is believed to have recruited between 16,000 and 20,000 fighters from over 20 countries.Roland Jacquard, In the Name of Osama Bin Laden, (Diane Pub Co: 2002), 59; Chris Suellentrop, “Abdullah Azzam: the godfather of jihad,” Slate, April 16, 2002, http://www.slate.com/articles/news_and_politics/assessment/2002/04/abdullah_azzam.html. Following the Soviet withdrawal from Afghanistan in 1989, Azzam urged bin Laden to take the jihad to the Palestinian territories. However, bin Laden instead stayed back in Afghanistan and combined forces with Ayman al-Zawahiri to form al-Qaeda. Azzam separated himself from the newly formed alliance due to his disagreement with al-Zawahiri’s goal of waging jihad in Afghanistan, as it called for Muslims to kill other Muslims. Instead, Azzam established a network to recruit Palestinians to train in Afghanistan for an eventual fight with Israel, which led to the formation of Hamas. Recruits would travel to Afghanistan under false passports to evade Israeli intelligence. Aryn Baker, “Who Killed Abdullah Azzam?” Time, June 18, 2009, http://content.time.com/time/specials/packages/article/0,28804,1902809_1902810_1905173-1,00.html; Bruce Riedel, “The 9/11 Attacks’ Spiritual Father,” Daily Beast, September 11, 2011, http://www.thedailybeast.com/articles/2011/09/11/abdullah-azzam-spiritual-father-of-9-11-attacks-ideas-live-on.html. Azzam and bin Laden also helped establish the Pakistan-based Lashkar-e-Taiba (LeT) in the late 1980s. They provided the group’s co-founder Hafiz Muhammad Saeed with funding to build the terror organization. LeT follows the teachings of Azzam and calls for global jihad. Al-Qaeda and LeT maintain an alliance and provide each other with training and support.Bill Roggio, “US adds 2 Lashkar-e-Taiba leaders, several aliases to terror list,” Long War Journal, June 25, 2014, http://www.longwarjournal.org/archives/2014/06/us_adds_2_lashkar-e.php. 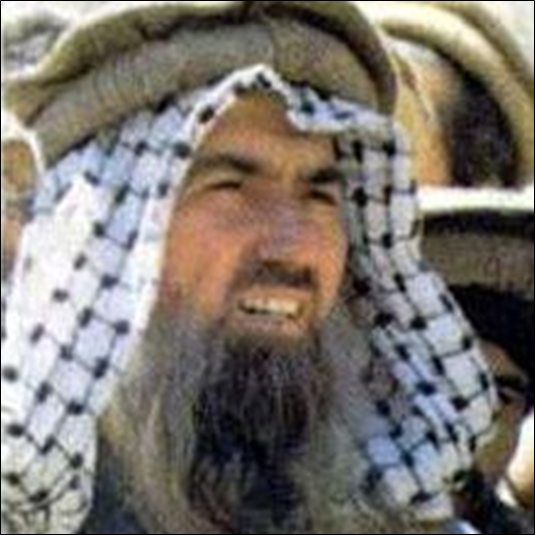 Abdullah Azzam (1941-1989) was a Palestinian Islamist preacher who helped found al-Qaeda, Hamas, and Lashkar-e-Taiba. “Yes, allowing Muslims to be slaughtered while the only thing that we do is to offer them lip service from a distance and rub our hands together without taking even one stop towards elevating the suffering of Muslim [sic]. Sure this is playing and ridiculing the religion [Islam].”David Aaron, In Their Own Words: Voices of Jihad (Santa Monica: RAND Corporation, 2008), 68. “Jihad must not be abandoned until Allah (SWT) alone is worshipped. Jihad continues until Allah’s Word is raised high. Jihad until all the oppressed peoples are freed. Jihad to protect our dignity and restore our occupied lands. Jihad is the way of everlasting glory.”David Aaron, In Their Own Words: Voices of Jihad (Santa Monica: RAND Corporation, 2008), 69. “The word jihad, when mentioned on its own, only means combat with weapons…”David Aaron, In Their Own Words: Voices of Jihad (Santa Monica: RAND Corporation, 2008), 68. “The Jihad is in need of money, and men are in need of jihad.”David Aaron, In Their Own Words: Voices of Jihad (Santa Monica: RAND Corporation, 2008), 68. The First Condition: With reference to the Kuffar entering a land of the Muslims.” (The Defense of Muslim Lands)Sheik Abdullah Azzam, “Defense of the Muslim Lands,” Religioscope, 2002, 9, http://johnclamoreaux.org/smu/islam-west/s/azzam-def.pdf. “Where the Kuffar are not gathering to fight the Muslims. The fighting becomes Fard Kifaya with the minimum requirement of appointing believers to guard borders, and the sending of an army at least once a year to terrorise the enemies of Allah. It is a duty of the Imam to assemble and send out an army unit into the land of war once or twice every year. Moreover, it is the responsibility of the Muslim population to assist him, and if he does not send an army he is in sin.” (The Defense of Muslim Lands)Sheik Abdullah Azzam, “Defense of the Muslim Lands,” Religioscope, 2002, 8-9, http://johnclamoreaux.org/smu/islam-west/s/azzam-def.pdf. “One of the most important lost obligations is the forgotten obligation of fighting.” (The Defense of Muslim Lands)Sheik Abdullah Azzam, “Defense of the Muslim Lands,” Religioscope, 2002, 8, http://johnclamoreaux.org/smu/islam-west/s/azzam-def.pdf. “Indeed nations are only brought to life by their beliefs and their concepts and they die only with their desires and their lusts.”David Aaron, In Their Own Words: Voices of Jihad (Santa Monica: RAND Corporation, 2008), 70. “So history does not write its lines except with blood. Glory does not build its lofty edifice except with skulls. Honour and respect cannot be established except on a foundation of cripples and corpses. Empires, noble persons, states and societies cannot be established except with [such] examples.”David Aaron, In Their Own Words: Voices of Jihad (Santa Monica: RAND Corporation, 2008), 69. “O youths! O sons of Islam! What will cleans our sins? What will purify our mistakes? And what will clean our dirt? It will not be washed except with the blood of martyrdom, and know that there is no path except this path.”David Aaron, In Their Own Words: Voices of Jihad (Santa Monica: RAND Corporation, 2008), 69. “Those who believe that Islam can flourish [and] be victorious without jihad, fighting, and blood indeed are illusioned and do not understand the nature of this religion. The prestige of preachers, the influence of Islam, the dignity of Muslims, cannot be attained without jihad.”David Aaron, In Their Own Words: Voices of Jihad (Santa Monica: RAND Corporation, 2008), 68. “The sin upon this present generation, for not advancing towards Afghanistan, Palestine, the Philippines, Kahsmir, Lebanon, Chad, Eritrea, etc., is greater than the sin inherited from the loss of the lands which have previously fallen into the possession of the Kuffar.”David Aaron, In Their Own Words: Voices of Jihad (Santa Monica: RAND Corporation, 2008), 68. “Oh you Muslims! You have slept for a long time, long enough for the tyrants to take control over you. You accepted to live as slaves and submitted to tyrants. Now the time has come to revolt and destroy the shackle of slavery.”David Aaron, In Their Own Words: Voices of Jihad (Santa Monica: RAND Corporation, 2008), 67.